AEM Electronically Tuned Cold Air Intake for the 11-16 Scion tC (tC2) AEM 21-725P / 21-725C. 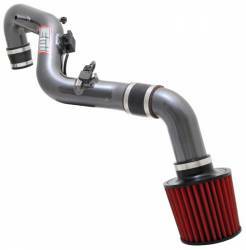 AEM's new Electronically Tuned Intake (ETI) Systems are raising air intake engineering standards; a revolutionary ETI module that makes power!! Most modern fuel injected cars use a Mass Air flow (MAF) sensor to determine the air flow rate into the engine and meter fuel according to input from the sensor. The relation between the voltage output of the sensor and mass air flow is adversely affected by a shift to a larger diameter intake tube because the airspeed is reduced. This causes the MAF sensor to “under report” air flow causing a lean condition at worst and a Check Engine Light at best. To accommodate MAF sensor reporting, many intake systems reduce the diameter of the intake tube near the MAF sensor to stock or near stock size because of the need to maintain the correct air speed for the sensor to report the correct flow rate to the ECU. 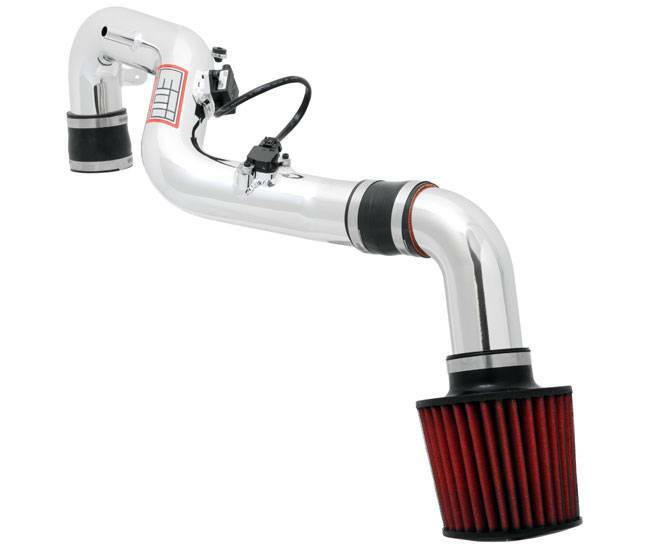 AEM's ETI Intake System is an alternative design approach that allows the intake tube to maintain its diameter resulting in more air flow into the throttle body. The ETI Intake System allows AEM to tune an engine for even more power by avoiding any tube down-sizing that will reduce overall airflow and horsepower. Instead the ETI electronically communicates with the MAF sensor to ensure an accurate amount of fuel is being delivered even though the tube is larger in size than the stock system. This means the vehicle maintains the calibration as intended by the factory while enjoying the benefits of our custom designed aftermarket intake system. This product is NOT legal for sale in California.